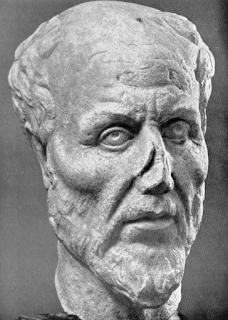 The Enneads, the only collection of writings by Plotinus (204—270 C.E. ), was edited and published by his pupil Porphyry in 270 C.E. In his preface to the work, Porphyry says that the Enneads is full of Aristotelian doctrines, in particular Metaphysics. In style Plotinus is concise, dense with thought, terse, more lavish of ideas than of words, most often expressing himself with a fervid inspiration. 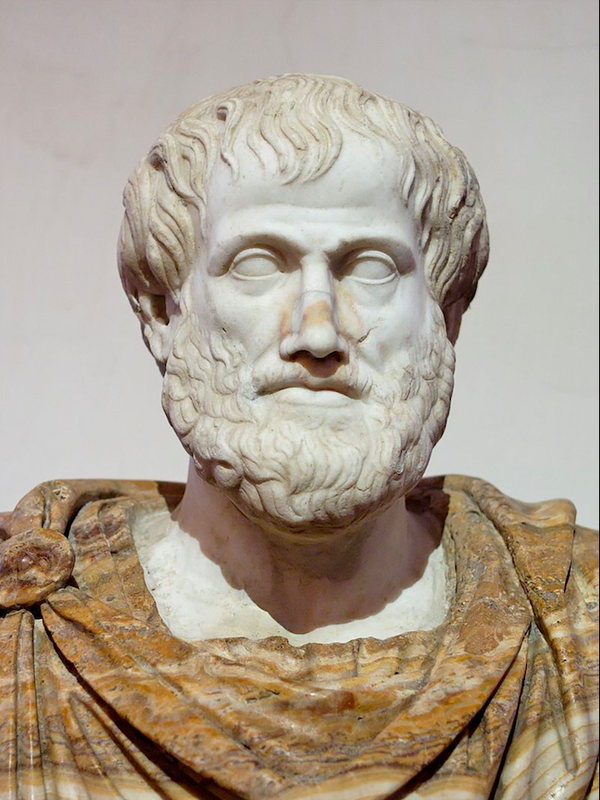 He followed his own path rather than that of tradition, but in his writings both the Stoic and Peripatetic doctrines are sunk; Aristotle's Metaphysics, especially, is condensed in them, all but entire. ~ Porphyry in the preface (section 14) to the Enneads. Lloyd P. Gerson, in his book Plotinus-Arg Philosophers (The Arguments of the Philosophers), uses Porphyry’s comments on the Enneads to make the case that while Plotinus was devoted to defending Platonism from its opponents, he has benefitted considerably from Aristotelian texts. Gerson points out that the Enneads contain at least 150 direct references to Metaphysics and it has thousands of references to other works of Aristotle. An additional and sometimes overlooked facet of Plotinus’ Platonism is that Plotinus leans heavily on Aristotle for an understanding of what Plato’s doctrines actually were. For one thing, Plotinus’ Plato is sharply distinguished from Socrates, following that perfectly natural distinction in Aristotle. 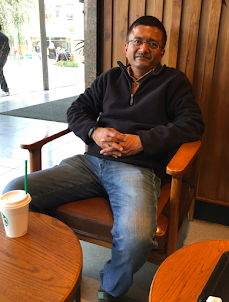 Nothing in the Enneads is derived from or depends on what we have come to recognize as especially Socratic. More importantly, Plotinus follows Aristotle in holding that Plato had an unwritten doctrine of principles. Indeed, Plotinus appears to rely on Aristotle for understanding what that is. Some effort is expended in the Enneads in order to show that this unwritten doctrine is at least consonant with that which appears in the dialogues. Finally Plotinus will frequently accept as authoritative an interpretation of Plato by Aristotle, as interpretation which Aristotle himself thinks leads a Platonic doctrine to shipwreck. Plotinus, however, will typically attempt to show that what Aristotle thinks is a disastrous consequences of a Platonic position is in fact true and even necessary. The alternative Aristotelian position is what ought to be rejected. And yet where Plotinus judges that Aristotle is ready not in disagreement with Plato, he will quietly adopt Aristotle’s terminology, distinctions, and even his explicit conclusions.